Under the access control formula, you can find out an extremely wide range of needs and subsequent proposals for solutions. Access control in public and private areas (historic centers and companies, but also car parks and condo garages), control of vehicles but also of personnel or mixed, Asset control, personal identification and much more. Considering the wide range of case study and related solutions, it may be necessary to rely on companies like Generale Sistemi which don't limit to provide RFID products but they also follow the design and development of ad hoc systems. 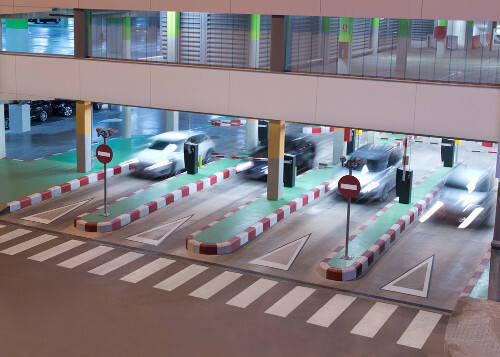 Depending on the performance and the required level of automation, Generale Sistemi offers various solutions for monitoring and access management, like subordinating gates, barriers, cameras or mobile bollards to a tag reading with optical people counter systems integration, and other advanced technologies. Recently, access control solutions have been enhanced with integration of products using Biometric Technology, Traffic Data Identification and Detection, OCR, LPR, and Automatic Number Plate Recognition. On the topic of Long Range access control solutions, Generale Sistemi makes use of transponders and readers with semi-active technology by the Swedish company TagMaster, which allow the transponder reading even at more than 10 metres away and at speed up to 400km/h, independently managing the database of authorized users thanks to an embedded Linux operating system. By the same manufacturer, also the XT line of operating tag readers using UHF band are increasingly popular for this kind of application. For the control of Mid-Range and Proximity gates, Generale Sistemi develops and is able to support even solutions concerning the use of UHF or Mifare 13,56MHz passive technology, depending by the system needs.